In December of 2007, I took my seat in an IMAX theater for a screening of I Am Legend, and I couldn't care less about the movie I was about to see. It's not that I thought it would be bad, but there was just a greater reason for me, as a lifelong Batman fan, to be in the theater that night. With 70 mm IMAX screenings of the postapocalyptic Will Smith vehicle, they were showing a prologue for a movie that wouldn't make its debut on North American screens for another seven months, a movie I'd been waiting avidly and impatiently for since June 15, 2005, when Commissioner Gordon was seen handing Batman an evidence bag at the end of Batman Begins, and the Caped Crusader turned it over in his hand to reveal a single joker card. For the first time in nearly 20 years, what is arguably the single greatest fictional rivalry in history was about to be revived on-screen, and our first look would be in this IMAX theater. We were then treated to the first several minutes of a film called The Dark Knight. After seeing the prologue, I felt a profound amount of excitement and fright at seeing just a sliver of what would become, arguably, the single most defining portrayal of a supervillain in cinematic history. The wait for the next seven months was tumultuous. From hearing of Heath Ledger's shocking and tragic death barely a month later to seeing the intense and exciting trailers, all the way down to following the film's unforgettable viral marketing campaign, it was very apparent to me and millions of others that there was already something special about this film. When July 18, 2008, arrived, we were proven so right that it's not even funny ("Why so serious?"). The Dark Knight changed superhero and comic book adaptations forever, but it also changed the tenor of what could be achieved in all major Hollywood films going forward. While Batman Begins was successful in a conventional sense for the comic book films of the time, The Dark Knight took that success and drove it forceably into the everyday lives of the masses, becoming something significantly more than a typical comic book movie sequel. It became, in many respects, one of the defining cinematic events of an entire decade, culminating in an incredibly well-deserved Oscar for Best Supporting Actor posthumously awarded to Heath Ledger. Here are three ways in which The Dark Knight "changed things... forever." Before The Dark Knight's release, big business for superheroes at the box office wasn't a new concept. It had been happening at least intermittently since as far back as 1978, when Richard Donner's first Superman film made people "believe a man can fly." Until 2008, though, comic book films (and their sequels especially) had a relatively low level of critical expectation behind them from places beyond the core fan bases. If you compare the expectations surrounding Spider-Man 2 to those surrounding Iron Man 3, for instance, chances are that there was greater pressure on the latter to deliver as much in the departments of character and interpersonal connection as on explosions and over-the-top action. That's The Dark Knight's doing. When that film hit at the box office, it was unlike any other comic book film we'd ever seen, because it was inspired by more than just comic book-based films. 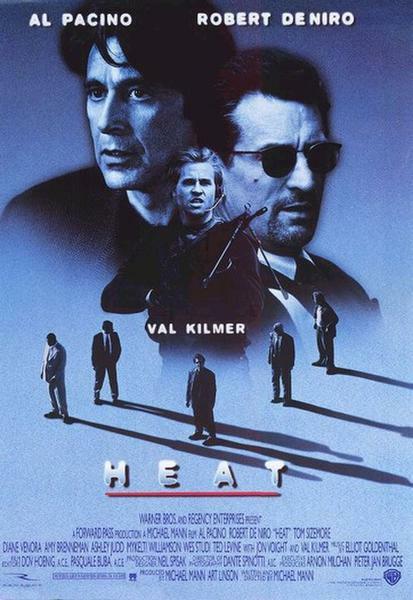 Movies that The Dark Knight is commonly compared to in terms of style and story are action thrillers, particularly those by Michael Mann (Heat; Collateral), and dramas like The Godfather Part II (an anonymous attendee at a press screening is credited with first noting this one in a review at Ain't It Cool News). Before The Dark Knight, people didn't often look at superheroes as being capable of this kind of storytelling, much less providing an excellent example of it. When The Dark Knight's box office tally was all said and done, having grossed over a billion dollars worldwide, it was clear that it touched a nerve of some kind. Not just in audiences, but in filmmakers. The studios, writers, directors and actors getting ready to make these films all reacted strongly. If they had a comic book property, then come hell or high water they were going to learn the lessons presented within Christopher Nolan's two hours and 33 minutes of schooling. Some of those creators taking notes included the likes of Jon Favreau, hot off of the release of that May's first outing of Iron Man. Favreau admitted that The Dark Knight "took the spotlight" off of his and Robert Downey Jr.'s efforts with the Armored Avenger that summer, but he's always managed to relay his admiration for Nolan's work with Batman and how it impacted superhero films at large. During his press tour for Iron Man 2, Favreau credited The Dark Knight as one of the reasons comic fans are so accepting of second outings and how its commercial success was good for all comic book films. The Avengers director Joss Whedon, a noted comics fan and creator, gave credit to Christopher Nolan and others for "INVENTING the true superhero flick" and seemed gratified about discussing the competition between The Avengers and The Dark Knight Rises for last year's box office crown. He said: "People seem intent on setting us against each other, and though I'm proud to be Woody Strode to Nolan's Kirk Douglas, I think they're missing the point. Whatever TDKR does on its first weekend, the only stat that matters to me is the ticket I'M definitely buying." There's no question that The Dark Knight really does put the emphasis on the "dark" part of its title, since it pushes the themes of terrorism, anarchy and chaos all up in the viewer's face. There are parts that are genuinely unsettling to watch, even if they're spectacular -- like the destruction of the hospital and Joker's interrogation of a Batman wannabe. The indicator of the Joker's strength as a character is how you laugh at one of his sickly sardonic jokes and then immediately hate yourself for doing it. The fact, though, is that The Dark Knight proved that these are themes that can be explored in the most unexpected places, like a superhero film, and that audiences will accept them. 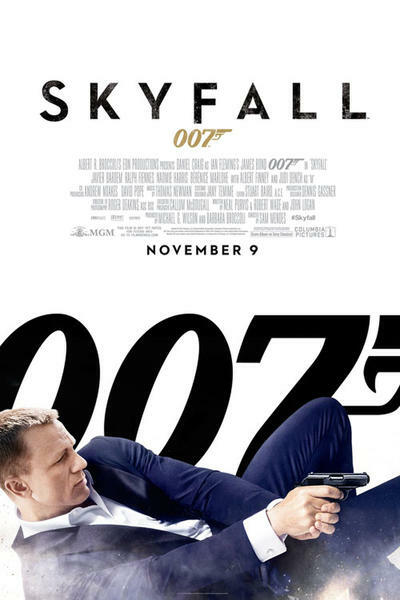 When making the rounds for Skyfall last year, director Sam Mendes spoke of this exact thing that The Dark Knight contributed to modern cinema when talking of his construction of the latest Bond effort. He said: "[The Dark Knight] was an incredibly dark film about post-9/11, living with terrorism, which happened to be set in Gotham City. It felt like a very contemporary film at the time." 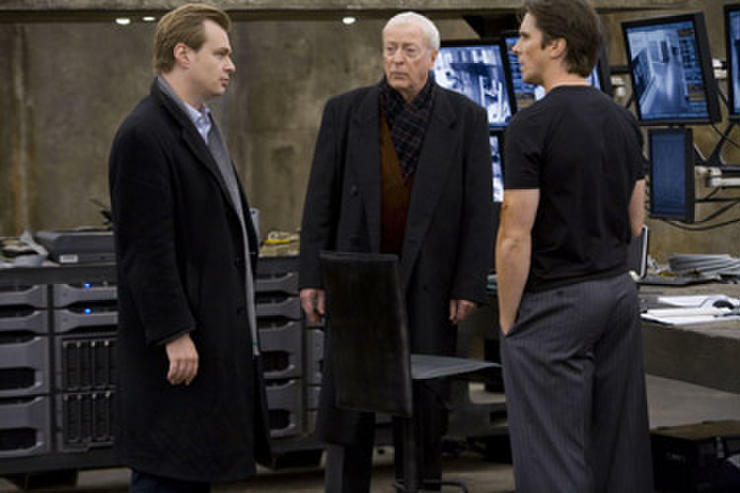 He went on to say that one of the biggest stories to come out of The Dark Knight's success was its success, and that it proved that this kind of storytelling can be both culurally relevant and commercially viable, which at least partially influenced the direction that Skyfall ultimately went in. 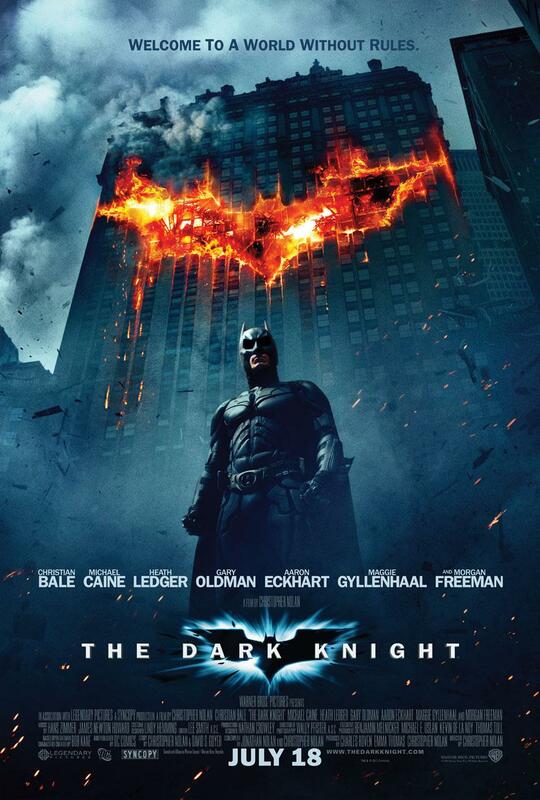 I'm of the mind that, beyond these three elements, The Dark Knight stands as the best comic book film yet made. Not only did it push the boundaries of the storytelling for comic book films, but it did so in a way that was true to the characters the film represented and the uncertain world that Gotham City is always supposed to be. By taking from some of the best works of merit in the comics, staying true to the realistic world established within Batman Begins and allowing some of the best performances in recent cinematic history to take place (including those of Christian Bale, Aaron Eckhart and Gary Oldman), five years ago we were given not just a good comic book movie, but a fundamentally transformative one. Take a couple of hours to celebrate this by dusting off that old Dark Knight Blu-ray. Let yourself be pulled in and immersed in it, and watch it again like it's that first time you saw it, which may have been on this very day half a decade ago. Sometimes experiences like this can only come once in a lifetime, and if that's true it brings no end to my joy that it happened with my all-time favorite fictional character. Check out first full-length trailer for The Dark Knight below, and begin to enjoy it all over again. "I think you and I are destined to do this forever..."
Chris Clow is a geek. He is a comic book expert and retailer and freelance contributor to Movies.com, GeekNation.com, The Huffington Post, Batman-On-Film.com and ModernMythMedia.com. Check out his blog and follow along on Twitter @ChrisClow.